Are you a Brevard County guru? Be heard and share your experiences by becoming an 321area.com Contributor. Learn More! Are you a local in the Brevard County area? Join your community and Get Connected with others in your area. Join FREE! Finding the perfect place to enjoy brunch on Easter in Cocoa Beach can be a difficult task. Whether you are looking for a family-friendly event featuring an appearance from the Easter bunny or a buffet-style brunch with seasonal drink specials, there are plenty of options to choose from. Let us take the hassle out of planning brunch with the best picks worthy of your Easter Sunday. A unique Easter celebration hosted by your favorite European Cafe. Delicious menu favorites and other specialty dishes such as Schnitzel, Brauts, Seafood, stroopwafels and other pastries. There will be a seasonal mimosa bar and German beer available as well. Join us for our annual Easter Buffet celebration on the oceanfront. Seating times are at 11 am, 1 pm, and 3 pm, and reservations are required. The event will feature a carving station, salad bar, cheese, and fruit displays, peel and eat shrimp, gourmet dessert station, and a chocolate fountain. Celebrate Easter on the beach at the DoubleTree Suites by Hilton Melbourne Beach Oceanfront! During the Easter brunch, there will be hot and cold buffet dishes, omelet stations, fruit displays, assorted breakfast items, a salad bar, and much more! Join us for a delectable Easter brunch on Sunday, April 21st filled with choices for every taste! An extensive buffet will feature all the favorites like a roast beef station, as well as a variety of fresh salads and dessert choices. Enjoy a special appearance by the Easter Bunny along with an Easter Egg Hunt at 12:00 pm! La Cita Country Club is open to the public so come stop by to celebrate the Easter Holiday. 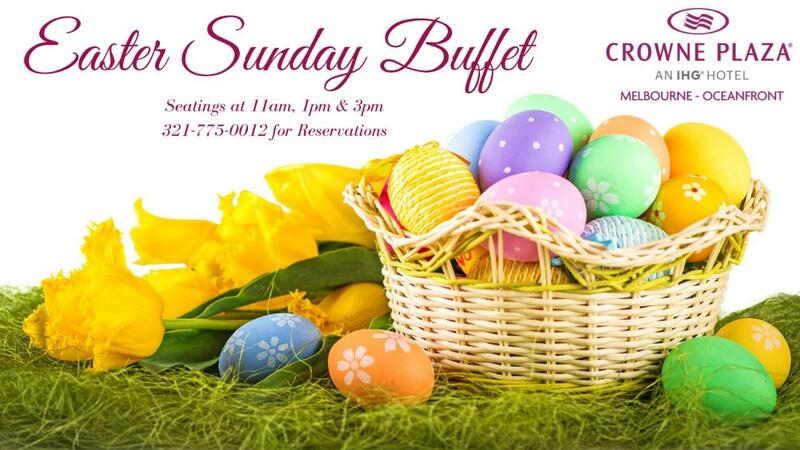 They are having an extravagant Easter Brunch Buffet with a $5 Unlimited Mimosa bar! Don't forget to make a reservation and country club attire will be mandatory. 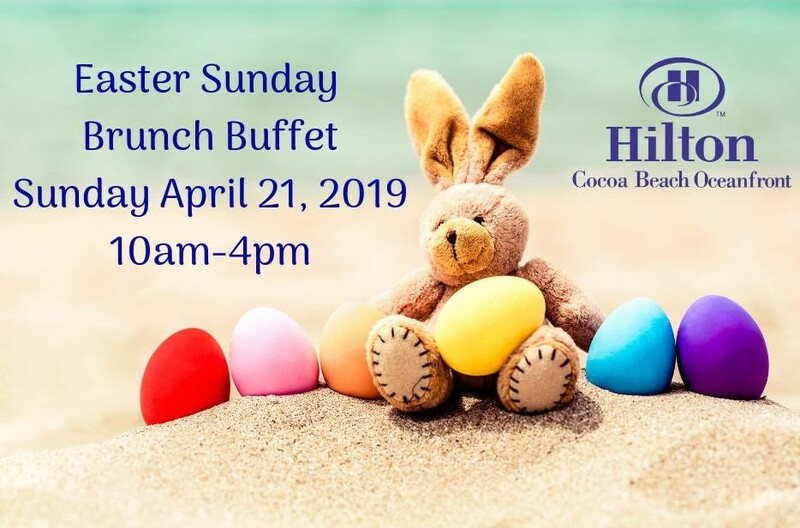 Bring the family and join us for our annual Easter Sunday Brunch Buffet at the Hilton Cocoa Beach Oceanfront. Chef's menu includes breakfast favorites, dinner dishes, savory and sweet treats and much more! Have another Easter Brunch in Cocoa Beach we forgot to mention? Tell us in the comments below. Explore even more Easter fun by checking out our official Cocoa Beach Easter Guide.